Samsung failed to keep the Samsung Galaxy Fold a mystery but the phone still managed to get all the attention it deserves when it was officially unveiled at Samsung Unpacked event. 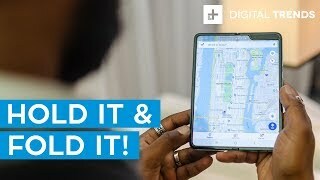 While it’s safe to say that it’s one of the most ambitious phones from Samsung, it’s definitely not for everyone. 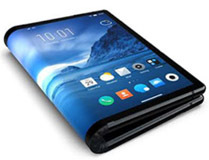 To find out more including the Samsung Galaxy Fold Saudi Arabia price, continue reading. It’s easy to fall in love with the design of this phone once you see how this small but thick phone with a 4.6-inch Cover display turns into a phone with a big 7.3-inches display. There are actually two displays and users can easily get access to all the functions while the phone is folded. The Cover display is also quite good showing HD+ resolution and 21:0 aspect ratio. It’s the 7.3-inches screen that’s the main attraction of this phone which shows 2152 x 1536 pixels resolution, 16:10 aspect ratio and 414ppi of pixel density. When the phone is folded, it looks like two phones stuck together and is quite fat. However, users can smoothly switch from the Cover display to the internal big one when using an application thanks to Samsung’s App Continuity feature. Unlike the latest S10 series phones, this one doesn’t include a 3.5mm headphone jack and is not IP rated either for dust or water resistance. It will be a while before the phone is officially here but there will be four different colors to choose from: Martian Green, Space Silver, Astro Blue and Cosmos Black. All the cameras introduced in the new Galaxy S series are a part of the new Galaxy Fold as well. Users get three cameras on the back: one 12-megapixel 26mm wide sensor with f/1.5-2.4 aperture, one 12-megapixel 52mm telephoto sensor with f/2.4 aperture and a new 16-megapixel 12mm ultrawide sensor with f/2.2 aperture. What’s new here is a 10-megapixel cover camera with f/2.2 aperture and two more cameras on the front with the big 7.3-inch screen. Users actually get three cameras here as selfie camera. 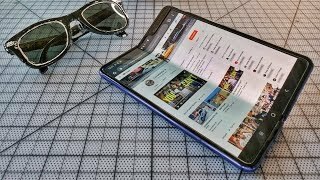 As the phone is not here yet, we will have to wait for the Samsung Galaxy Fold release date Saudi Arabia to find out more about its performance. 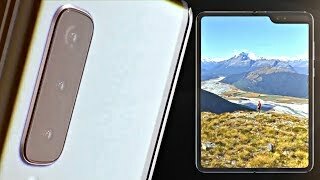 There is the Google Pixel 3 and Huawei Mate 20 Pro if you are in the market for a good camera focused phone. 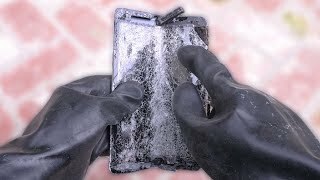 These phones are expensive but not even close to the Samsung Galaxy Fold Saudi Arabia price. A phone with a big display requires a big battery and we are not quite sure if Samsung delivers on that front. A 4380mAh Li-Po non-removable battery is definitely not small but we will have to check out the phone after the Samsung Galaxy Fold release date Saudi Arabia before reaching a verdict. It will have fast battery charging but no wireless charging support. To make sure it’s running all the apps smoothly, it’s packing the latest Qualcomm Snapdragon 855 7nm octa-core processor paired with 12GB of Ram and 512GB built-in storage. Some of the other notable features are: Dolby Atmos/AKG sound, Bluetooth 5.0, GPS, NFC, USB 3.1 Type-C 1.0 port, fingerprint sensor, Samsung DeX desktop support and fast battery charging. 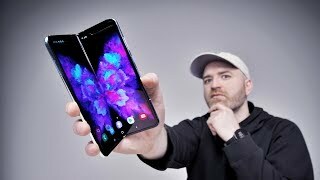 The Samsung Galaxy Fold is not for everyone and the price will definitely make you understand why. It will be available for SAR 7400 . 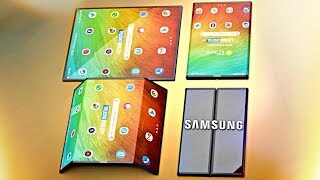 The Samsung Galaxy Fold release date Saudi Arabia is quite far from now and is not the same as the other three Galaxy S10 series phones. It will be available from April 26, 2019. You can pick up the latest Samsung Galaxy S10, S10 Plus or S10E on March 8 if you are not interested to wait that long. 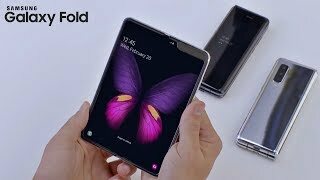 Samsung Galaxy Fold 2 is COMING!!! 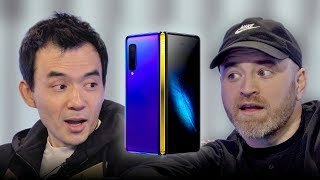 Samsung Galaxy FOLD OFFICIAL - THE FUTURE BEGINS!! !